Invaluable advice on style, life, work and love from the most important names in American fashion. Life, Love, and the Pursuit of Style culls the best pieces of advice and wisdom from the Council of Fashion Designers of America's 400 designers. From tips and tricks for breaking into a fashion career, to must-have items, to favourite inspirational words, this book provides an inside glimpse into the fashion world's most creative minds and offers readers an endless amount of inspiration. 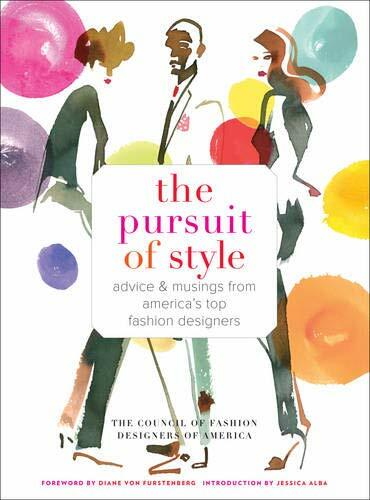 Includes contributions from influential designers such as Diane von Furstenberg, Alexander Wang, Michael Kors, Tory Burch, Donna Karan and Ralph Lauren among many others.